The Story of Derry is one of the most fascinating of any area in Ireland. Her recorded history starts in 545AD, but there was settlement in the Derry area for thousands of years before that. 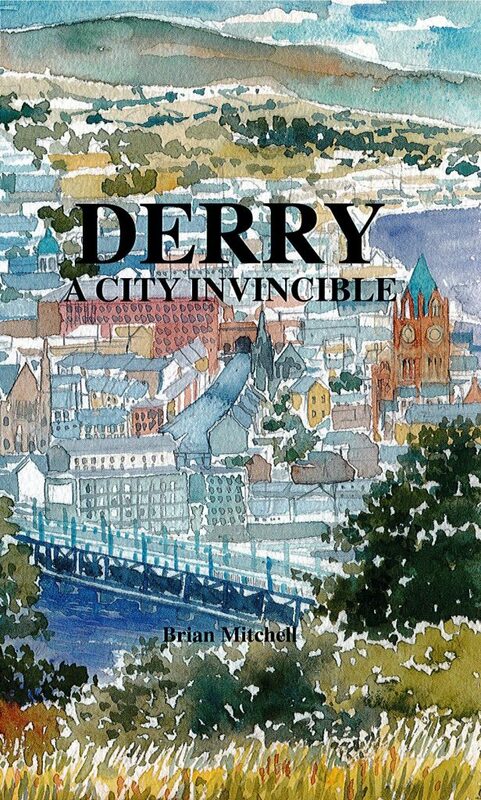 In this book Brian Mitchell vividly portrays the broad sweep of Derry's history over the past 4,000 years through framework of sixteen incidents or scenes, each evocatively illustrated by a fine line-drawing by local artist Bridget Murray. Two Maps serve to locate places and events. witness captured french soldiers being marched to Derry jail in November 1798; or stand with fellow mourners at the graveside as Muireartach McLoughlin, high King of Ireland, was buried in 1166 beside the recently constructed cathedral in the monastery of Derry. The invincible spirit of the city lives on through Siege, economic depression, the anguish of emigration, War and the more recent Troubles. Derry also had its "boom" years , and the story ends on a high note of urban, economic and cultural renewal.